But instead the 11-year-old’s upbeat nature and infectious laugh make him a class favourite with fellow pupils and teachers alike. 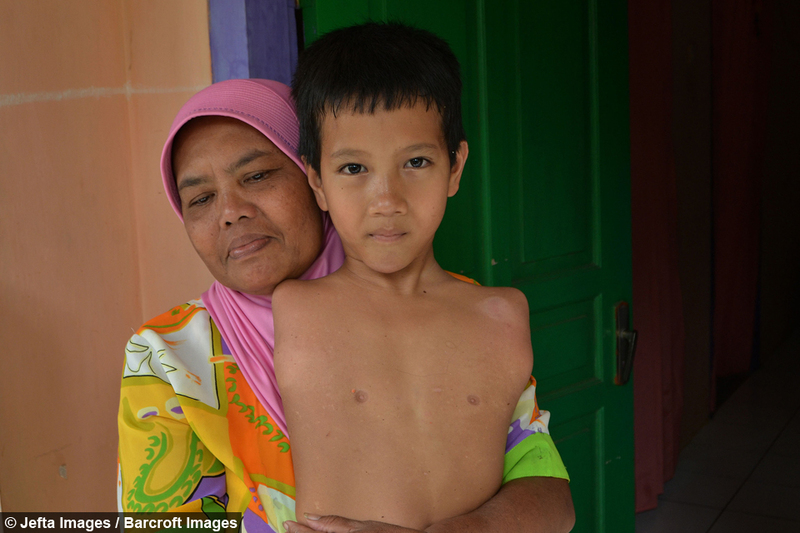 Throughout her pregnancy, Tiyo’s mum Mimi was unaware of her son’s condition. 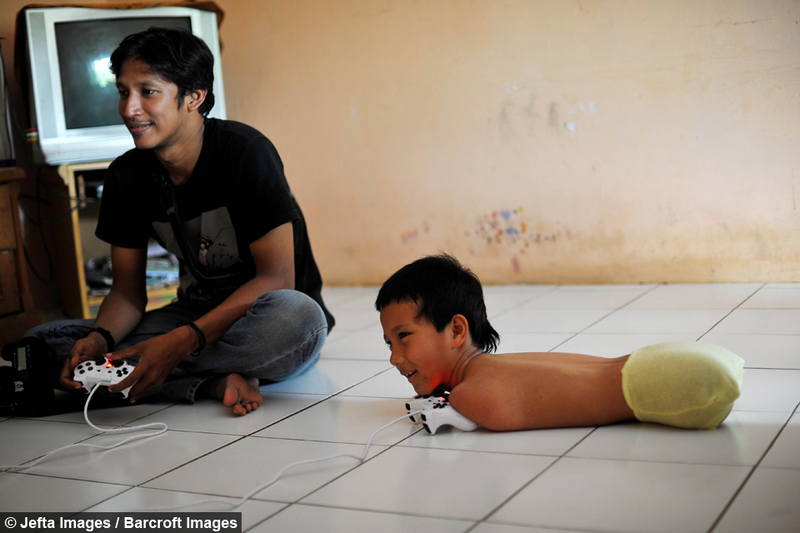 And even after he was born, she wasn’t told straight away that her newborn child had no arms or legs. Mimi said: “The midwife said everything was normal. She said, he’s good, normal, healthy. Although shocked on first learning the news, Mimi quickly adjusted to her son’s condition – and it’s this acceptance that has contributed to Tiyo’s outgoing personality. “I was surprised. I thought he would be normal like my other children then I have the youngest in that condition,” she said. Along with husband Wawan, Mimi says looking after Tiyo is a full-time job. 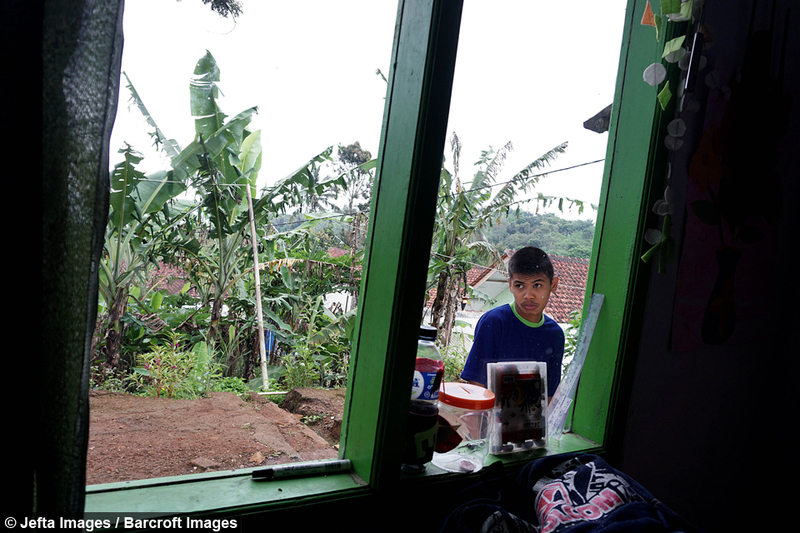 The couple have four other adult children who live across Indonesia and therefore aren’t able to help with the daily care needs. 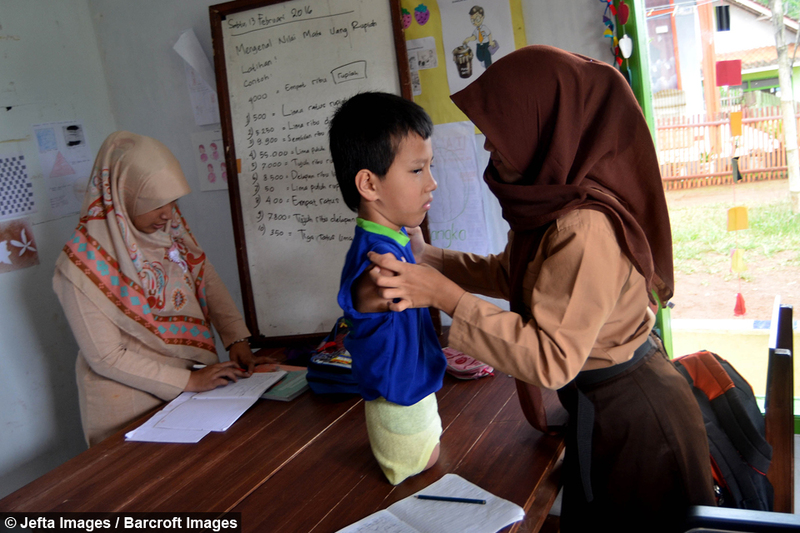 Tiyo is able to do some things himself, but his lack of mobility means Wawan and Mimi still need to help him do everything from getting washed and dressed to feeding - although Tiyo has learnt how to unwrap sweet wrappers with his mouth. The family used to receive state funding for Tiyo but claim they no longer receive financial support. 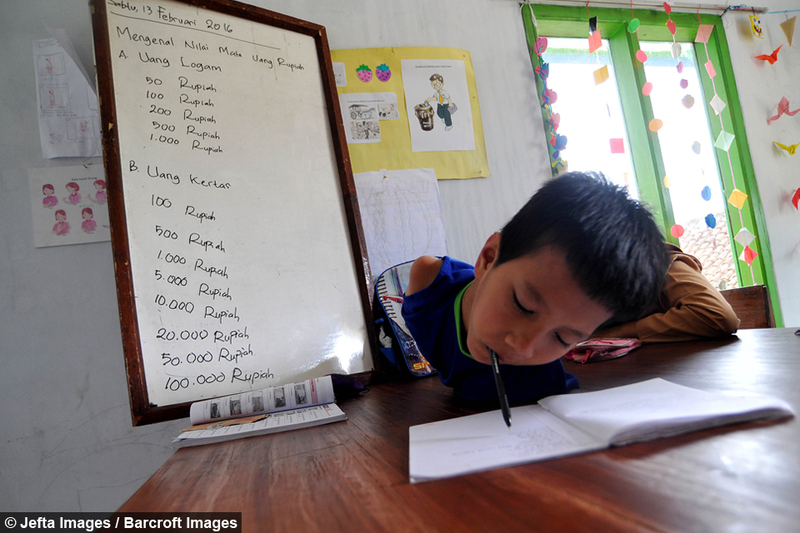 Tiyo’s school SLB Firdaus has at least taken away some of the daily burden. Every morning Tiyo is picked up by motorbike and taken to the small special needs school, where he excels at maths and religious studies. 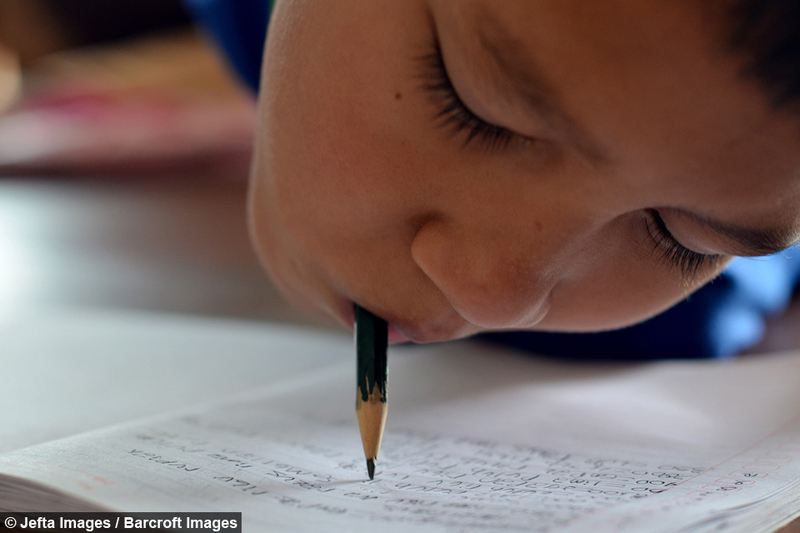 Holding a pen in his mouth, Tiyo is able to write and keep up with fellow classmates. It wasn’t always like this however, with Tiyo initially struggling with insecurity issues. 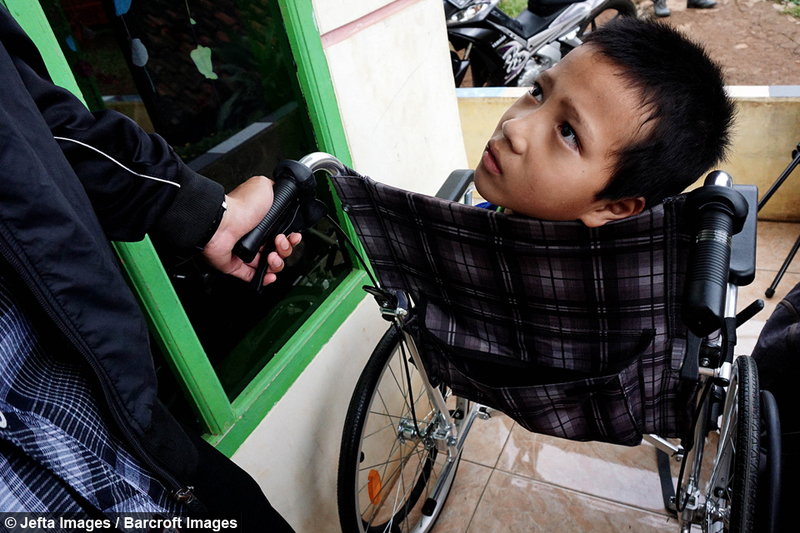 Now a regular attendee, Tiyo relies on the other teachers and his classmates to carry him or push him in his wheelchair. The school currently teaches just 24 students. Tiyo also proves himself to be more than a match for his friends when playing on his games console. 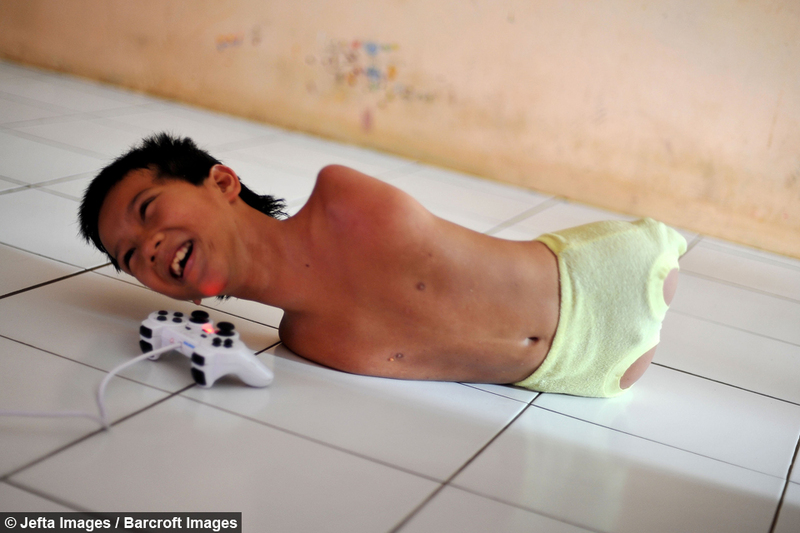 The Playstation addict plays every spare moment he can, using his chin to operate the control pad.